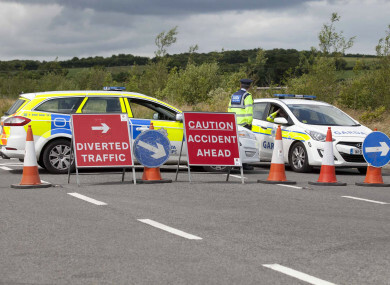 GARDAÍ IN PORTLAOISE are investigating a crash that left a man in his 20s dead. The single-vehicle road traffic crash occurred at Kilmullen, Portarlington Co Laois at around 3.50am this morning. A 22-year-old male driver was fatally injured when the car he was driving crash into a wall. He was pronounced dead at the scene and his body was taken to the Midland Regional Hospital in Portlaoise. Gardai are appealing for witnesses to contact Portlaoise Garda Station on 057 8674100, the Garda confidential telephone line on 1800 666 111 or any garda station. Email “Man in his 20s killed after car hits a wall”. Feedback on “Man in his 20s killed after car hits a wall”.